Weather permitting the 2017 NHRA Mello Yello Drag Racing Series’ 24-race season begins this Friday on the Auto Club Raceway at Pomona dragstrip with the 58th annual Circle K NHRA Winternationals. This race meeting is a tradition in the straight-line sport, which both begins and ends each season at what’s considered its ancestral home. 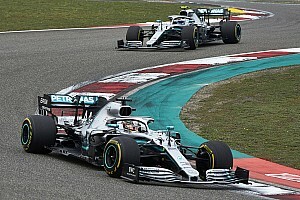 In advance of the season, teams have been testing, adapting to new members that migrate from squad to squad and preparing to debut new equipment and drivers. There was a test for the nitro teams last weekend outside Phoenix, Ariz., site of the second race of the season, on the Wild Horse Pass Motorsports Park track, in which both Top Fuel’s Leah Pritchett and Funny Car driver Courtney Force shattered their respective national records. Unfortunately, the ladies’ records won’t stand because this was testing, not racing, but it’s indicative of what happens when a team is pretty much intact from the previous campaign - they’re ready to race. Only three of NHRA’s four top Mello Yello professional categories race this weekend; Pro Stock Motorcycle traditionally begins its shorter season at the third race of the year, the Amalie Motor Oil NHRA Gatornationals in Gainesville, Fla. NHRA drag racing is filled with traditions; thankfully many of them are still evident as the new campaign begins. First of all, there will be rivalries. 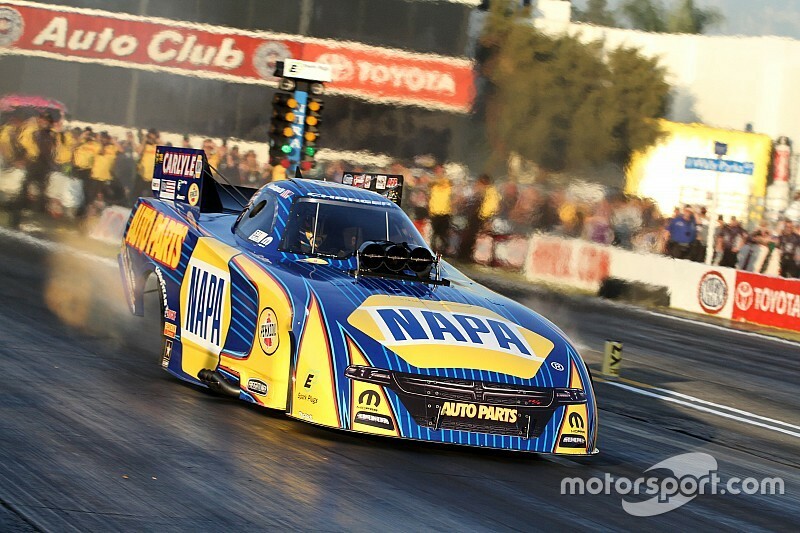 In Funny Car the biggest rivalry over the past 20-plus years has been between 16-time champion John Force and reigning world champion Ron Capps, who secured his first title - ever - at last year’s Pomona finale. With great respect and desire, these two men live to battle one another and up their games at every opportunity to line up against one another. With Force’s re-hiring of Jimmy Prock (and Chris Cunningham) to guide him, will this year be his best opportunity to gain No. 17 with his Chevrolet Camaro SS? Force’s son-in-law Robert Hight (driving with a California High Patrol paint scheme), his daughter Courtney (now sponsored by Advance Auto Parts) and the three Don Schumacher Racing Dodge Charger R/T teammates to Capps, Tommy Johnson Jr., Matt Hagan and Jack Beckman have other ideas. So do the Kalitta Motorsports clan of J.R. Todd, who takes over the vacated DHL Toyota Camry from 2015 champ Del Worsham and Alexis DeJoria, recovered from her two accidents last year, who returns to the Tequila Patron Camry. Thankfully, there will be more than a full field in Funny Car, with several local racers looking to make their marks. In addition, Chad Head has relinquished the seat in father Jim Head’s Toyota Camry and allowed two-time and reigning Top Alcohol Funny Car champ, Jonnie Lindberg to ascend to the professional level. While the initial deal is for 16-18 races and the season comprises 24, once this swift Swede hits his marks, the Head family might be compelled to run him for the full year. Sporting new colors, two-time 2016 winner Tim Wilkerson is back for another championship drive, while Jeff Diehl returns following a non-racing accident last year that injured both the racer and his wife Leeza. Cruz Pedregon hunts for another try at a third title, while Phil Burkart Jr., who subbed for John Force when he had a massive accident in 2007, returns this weekend. Also on the grid are journeymen Jeff Arend, Gary Densham and Bob Bode Jr. James Campbell is racing with Jim Dunn this year, and his sophomore season should be a good one. At this writing, the Top Fuel field is light, with only 15 entries. Part of that is due to the closure of Morgan Lucas Racing, which fielded a single entry for last year’s full season for Richie Crampton, while team owner Lucas raced at a variety of shows. Leading the dragster pack is, of course reigning and three-time titleholder Antron Brown of Don Schumacher Racing (DSR), the team that secured both nitro-powered championships in 2016. But even DSR compressed its entry for the start of the year with Brown, eight-time champion Tony Schumacher and Leah Pritchett as drivers of the team’s three full-time Top Fuel cars. While Brown’s team remains intact, Schumacher will have a new co-crew chief to work with, Phil Shuler, as Neal Stausbaugh departed to Jack Beckman’s latest crew (the Funny Car driver seems to have a hard time holding onto team members - he was tuned the past two years by Prock, who has returned to John Force Racing). This merry-go-round hasn’t hit the DSR camp of Pritchett, who ran the quickest dragster (3.654 sec) in Phoenix during nitro testing. She retains the magic of Todd Okuhara and Joe Barlam on her team and, with nearly a year’s worth of competition under their collective belts, Pritchett has the confidence in her team that could see her add mightily to her first, single victory last year. The Californian also has continuing partnerships with Papa John’s Pizza, Pennzoil and FireAde to help her DSR group gain traction in this tough class. Local driver and 2013 champ Shawn Langdon is the one DSR Top Fuel team member who lost out for a full-season ride, although team owner Don Schumacher believes he’ll get sufficient financial backing to put Langdon back in the hunt later in the year. He is on-site to cheer on his teammates and talk with potential allies for the balance of the season. The DSR Top Fuel contingent will have to contend with the full-season entries for Doug Kalitta and Troy Coughlin Jr. from Kalitta Motorsports. Kalitta won the season closer against former dragster teammate J.R. Todd, now driving Funny Car and that momentum will be good for the driver who now takes over Capps’ fate as the “best driver not to have won a championship” - but who’s come close. Kalitta finished second overall to Brown last year. Pro Stock has a healthy 17 entries for the Winternationals, with at least 10 of them expected to be full-season campaigners. Of course everyone is chasing three-time and reigning champion Jason Line’s Chevrolet Camaro from Summit Racing and his teammate, 2016 runner-up and four-time champ Greg Anderson - just like they did last year. This duo won the first 13 races in 2016 before others began to catch up, starting with Allen Johnson’s continuing mastery of Bandimere Speedway in his Dodge Dart. After a year with Dodge, two-time champ Erica Enders and her teammate, five-time Pro Stock champ Jeg Coughlin Jr. are back with Chevrolet power, leaving only Johnson, Deric Kramer and part-timer Alan Prusiensky currently racing Dodge products. That company has cut back its professional NHRA backing and is putting its emphasis on the healthy Lucas Oil Sportsman categories. The balance of the field runs Chevrolet products. Really close cars is what makes NHRA drag racing so much fun to watch, as does the open environment at the track, where fans can talk with drivers and watch crews perform the ballet of renewing engines and chassis between rounds. 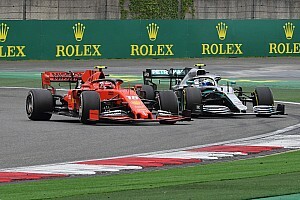 The action is intended to start with four rounds of qualifying, two on Friday at 12:30 and 3:30PM and two on Saturday at the same times. Final eliminations begin at 11AM on Sunday. At this time the weather on Friday is looking iffy, with rain forecast for Southern California. Cool and clear temperatures are forecast for Saturday and Sunday, which could make for some highly competitive racing on the latter two days. 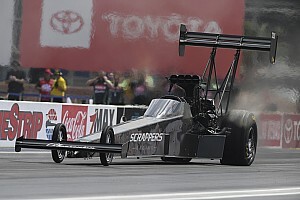 Building on their success televising NHRA’s 24 races last year, Fox Sports 1 and Fox network will have live coverage for the second round of qualifying on both Friday and Saturday and for final rounds of Sunday’s eliminations. This is how it starts. 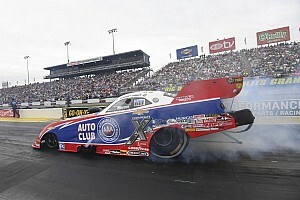 How will the NHRA season end here in November?